If you have ever needed motivation to continue those New Year resolutions, here it is! 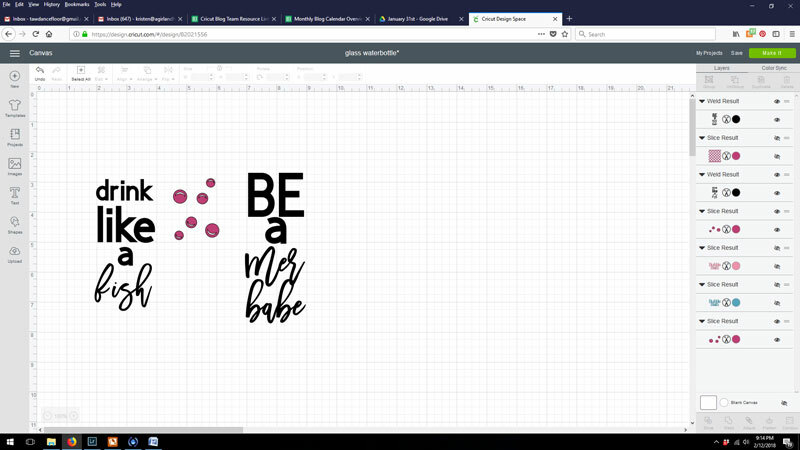 The Cricut line of products is making all of your goals look oh so good. Short term gain is not something we should all settle for when talking about any resolution. We are all in it for the long haul and want something that lasts. 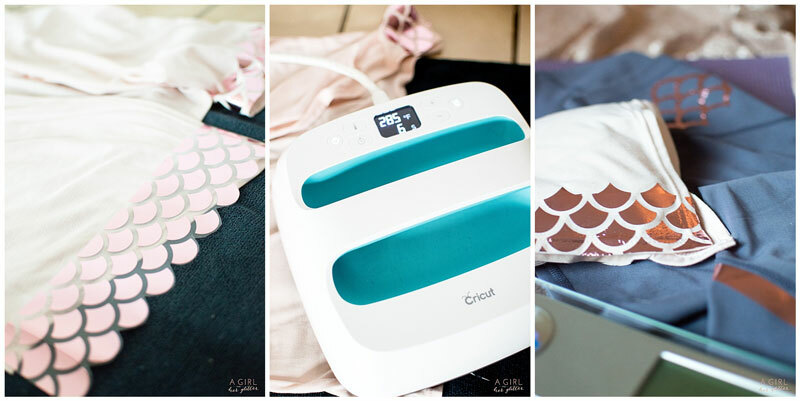 When it comes to adhering iron on to any type of clothing, the Cricut EasyPress has all of your long lasting wishes covered to get you motivated. We have combined iron foil, holographic vinyl and fired up our Cricut EasyPRess to get the fire lit under you so you can stay true to your resolutions and meet those goals! You better believe that we believe in you and your creative and health goals… so, why not combine them? 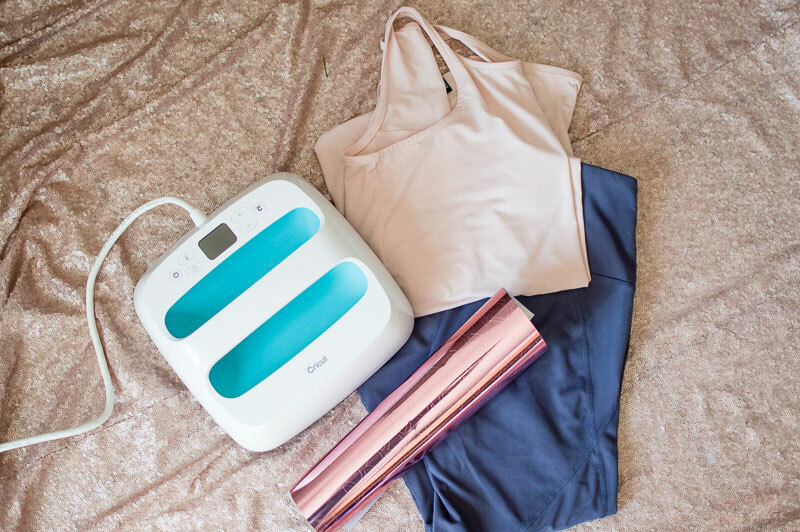 We gathered our athletic attire, glass water bottle, yoga mat and even our scale to add a creative twist. 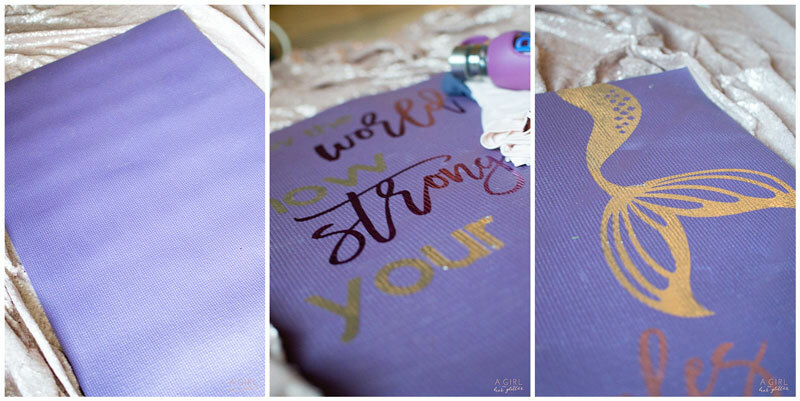 When you add Cricut into the mix, you are sure to end up with the best kind of personalized motivation that will speak to you! Use Design Space to find your perfect Design. Gather your clothing, iron-on foil, and your EasyPress. 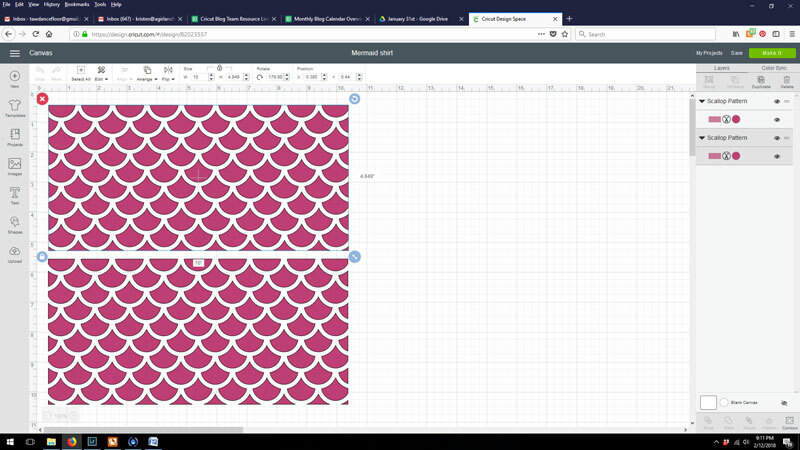 Here we used the Cricut preloaded design called “Scallop Pattern.” Be sure to save the remnants as well. Follow the instructions in Design Space to cut out your design. Weed away excess vinyl and do a dry run (but don’t press your design just yet) on top of your clothes. Look to see what your fabrics are made out of and set your EasyPress to the desired heat and time. When using your Cricut EasyPress, we have found that using parchment paper will allow for the heat to not melt the surface. Lastly, grab a great glass water bottle and embellish with anything that will cause you to hydrate as much as possible. Use the same fonts that you did with your other projects to create cohesion. We used holographic vinyl to make the cheeky wording really pop! 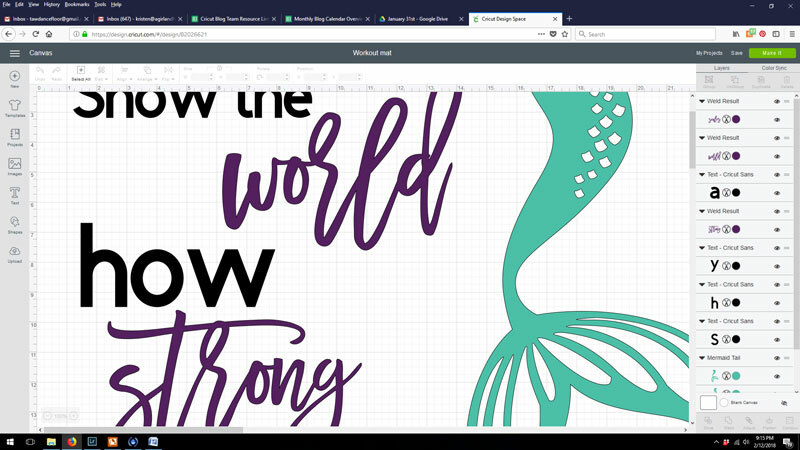 Use your Cricut transfer tape to transfer your design. You could also make your scale something to look forward to with your hard work and your holographic viny! Carry your theme over into every detail so that your motivation can be seen everywhere. What sayings and designs would you use? Tell us below! EasyPress vs. Heat Press vs. Iron: Which One Is for You? Can you make these projects with the Explore Air 2? Thank you! Yes, you can do these on the Explore Air 2 also. Where do you find this or how do you make these mermaid scales?